Tokmanni has published its 2016 first-quarter business review, the first as a publicly listed company. Once again the budget chain outperformed the market. 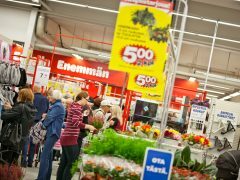 The Finnish retail chain Tokmanni is now considering listing on the Helsinki Stock Exchange’s main market to raise its profile. Tokmanni reaches its 150th store in Finland on Thursday. The new establishment in Loviisa also comes with a pilot for a new concept. Discount chain Tokmanni trials changes in the concept at the upcoming store in Loviisa. 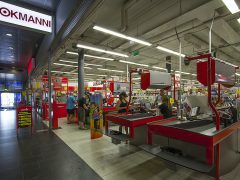 The pilot project will show how the Tokmanni stores should look like in the future. Despite large investments, Tokmanni Group reached another record level in 2014. Also Tokmanni’s customers continued to grow in 2014. ”Our position remains strong,” says CEO Heikki Väänänen.